A bird protection charity is the latest conservation organisation to object to plans for a new golf course at Coul Links in East Sutherland. RSPB Scotland has called for a halt to the proposal for an 18-hole, championship course at Embo. Birds which populate Coul Links include wigeon, teal, curlew, drumming snipe and skylarks. A wide range of red and amber listed species of conservation concern nest amongst the dunes. RSPB Scotland says the important wetland habitat would effectively be drained and replaced by golf greens, to the detriment of the birds. 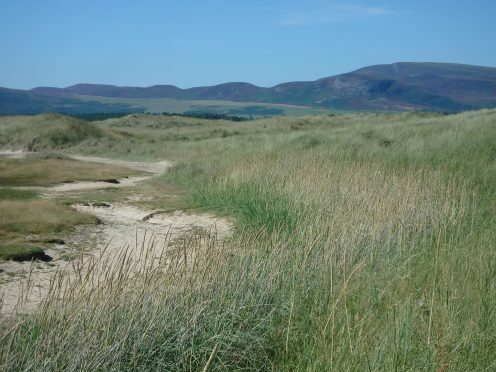 The charity claims that plans to move the dune habitat would not be successful as it has taken thousands of years to form and cannot be artificially recreated. If approved, the course would stretch across an estimated 805 acres. The cost is estimated at £8million-£10million. Chris Haspell, project manager for Coul Links, said: “Detailed studies have taken place at Coul Links in relation to the potential impacts of the proposed development. SNH and our team agree on this and these have simply been ignored by the RSPB in their latest inaccurate and inexplicable comments. The development touches on less than 2% of the overall site.